You should be secure in the knowledge that you are managing access at your facilities. Our access management and control systems provide that essential peace of mind while simultaneously protecting people, assets and, in certain circumstances, revenue. With over 25 years’ experience in designing and implementing advanced access control systems, Omega is best placed to provide you with the most appropriate, high-value system for your business. We provide access control systems ranging from control of a single entrance to multi-site networked solutions utilising all forms of credentials, including proximity cards/fobs, biometrics (fingerprint, hand geometry and facial/iris recognition), QR and barcode and PIN. Our systems are flexible and scalable, so can grow with your business, and can provide invaluable management information and metrics to keep you in control. Omega works with leading software suppliers, for example Membership Management platforms, to seamlessly integrate access control functionality into your management workflows. Omega has a proven track record in working with diverse hardware and software platforms, as well as network and communications technologies ensuring our access control systems deliver maximum benefit from day one. Rare in today’s market, Omega provides physical protection to complement our technology, including turnstiles, gates, speed lanes and barriers to suit any environment. Properly implemented, an integrated combination of security technologies and physical measures delivers higher levels of control, detection, assessment and response. Omega is one of the few companies that can provide this combination in-house. 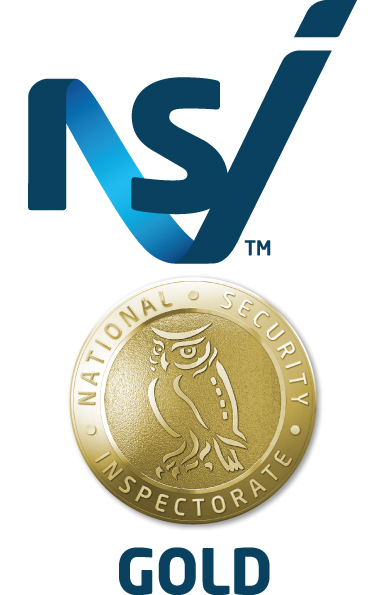 Our systems comply with the latest NSI Gold standards – the trusted benchmark for quality – and, of course, as well as warrantying all works, we offer full service packages to ensure your system performs as it should long into the future.